UPDATE – NEW URANIUM CLUB LP & MORE! 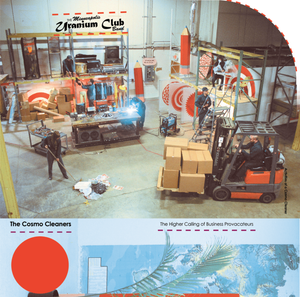 We just received copies of the new Uranium Club – “The Cosmo Cleaners” LP on Fashionable Idiots Records. If you are in Canada this will be the best place to grab a copy! Check it out here, but it here! Last Minute Cyber Monday Sale – Today Only! 20% off your entire order – use coupon code “cybermonday” at checkout (online orders only). Sorry for the lack of updates recently, things have been a little hectic lately. Anyways got tons of new great stuff in the webstore such as all the new Lumpy Releases (THE WORLD LP, VANILLA POPPERS LP, UNIX 7″, GEN POP 7″), new LIMP WRIST LP, IMPALERS LP and much more! Check it out! Also, I am giving the option of creating a hold pile so you can build an order to minimize on shipping costs. If you would like to do this please email me: electricheatrecords@gmail.com with the records you would like to hold. That’s all for now, thanks again! On another note, did a big webstore update today… New stuff from DAME, THE COWBOY, THE COWBOY(S), SHEER MAG, LUMPY AND THE DUMPERS and more, check it out here . Tons of new stuff hitting the webstore often – make sure to check it out… Highest possible regards on the new TERRY – “Remember Terry” LP. That’s all for now, catch you soon! Good day! 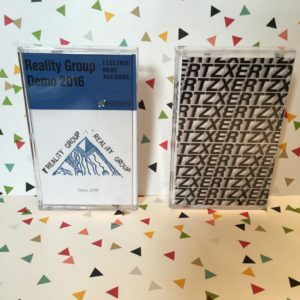 Got our first two releases out for your listening pleasure, check it out! Welcome to Electric Heat Records! We are a distro/mailorder/label based out of Winnipeg, Manitoba, Canada.